Seven stand-alone stories by best-selling gay romance authors. Since then, the angel has been passed down, sold, lost and found, but its magic remains. 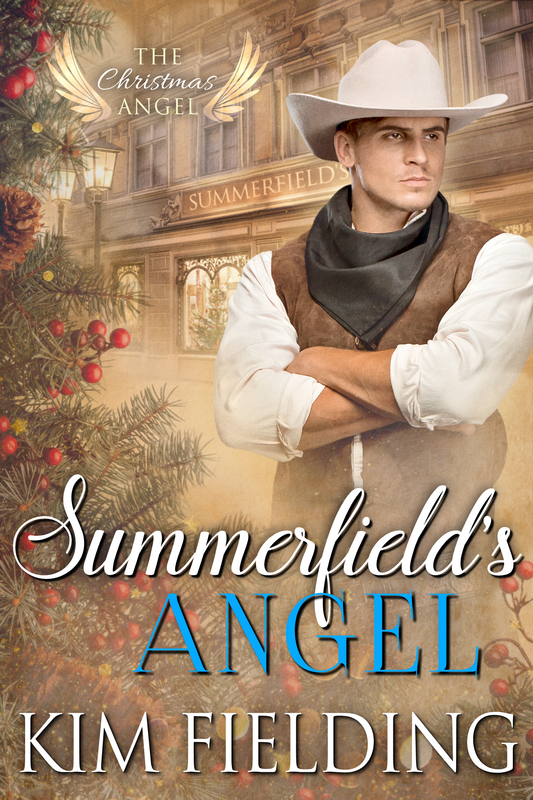 Read the romances inspired by (and perhaps nudged along by) the Christmas angel through the years. Whether it’s the 1880’s New York (Kim Fielding’s Summerfield’s Angel), the turn-of-the-century (Jordan L. Hawk’s Magician’s Angel), World War II (L.A. Witt’s Christmas Homecoming), Vietnam-era (N.R. Walker’s Soldier’s Wish), the 1990’s (Anyta Sunday’s Shrewd Angel), or 2018 (RJ Scott’s Christmas Prince), the Christmas angel has a way of landing on the trees of lonely men who need its blessing for a very Merry Christmas and forever HEA. NOTE: All the books in this series can be read as stand-alone books. Because I’m a nerd who loves research, I’ve compiled notes on some historical details I thought you might enjoy.